Really funny! This quote about your boo getting in the box for Christmas, but serious. 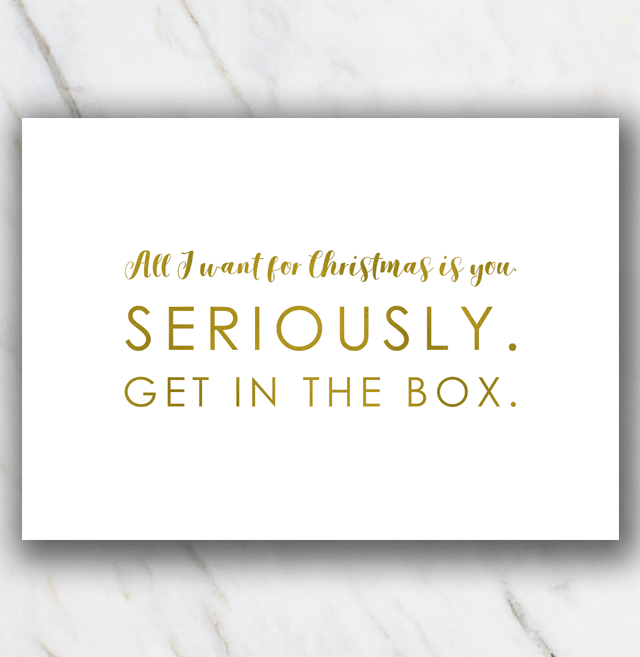 Attach this printable Christmas quote to one of the christmas gifts for you boyfriend, husband, girlfriend or wife. You'll definitely have a laugh! Don't want to spend too much toner when printing the Christmas quote? No worries, this one comes in different lay-outs. Check out all printable funny Christmas Quotes.